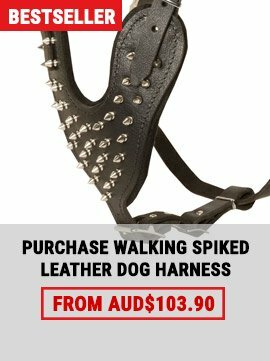 Imports offers exclusive collection of beautiful dog collars, leather harnesses, basket muzzles, braided leads and full body dog suits . Our family has a long history of training, working with, competing with, living with and loving dogs. 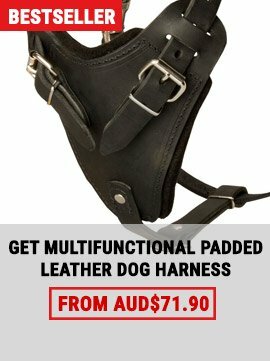 As a result, we clearly understand the desire of handlers and trainers to have leather dog harnesses, leather dog collars, leather dog leashes and other gear that is beautiful, comfortable, durable, tough and going to last a long time. We discovered years ago that the quality equipment we demand for ourselves cannot be found in the mass-produced inferior quality imported leather products that stock the shelves of ordinary equipment suppliers. 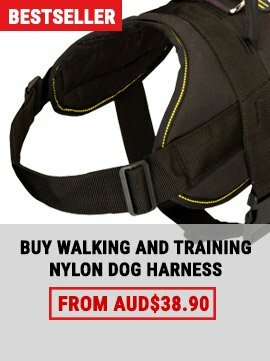 Find dog bathing harnesses, a dog harness for greyhounds, a funky flower dog harness or any other unique dog harness for pampered pets. And if you’re looking for a dog lead, we have those too! 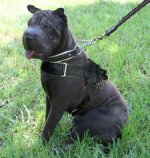 Also, don’t forget to check out our sale on dog harnesses and dog leads.